Crowns are designed to completely replace the visible part of a tooth. They are usually only completed for teeth that have been damaged. Cracks in teeth are a common reason for crowns to be placed. Crowns can be made from various materials such as a Gold alloy; Ceramic; Porcelain Bonded to Gold alloy; Zironia and new Resin Impregnated Ceramics. The choice of material will reflect the purpose of the crown. 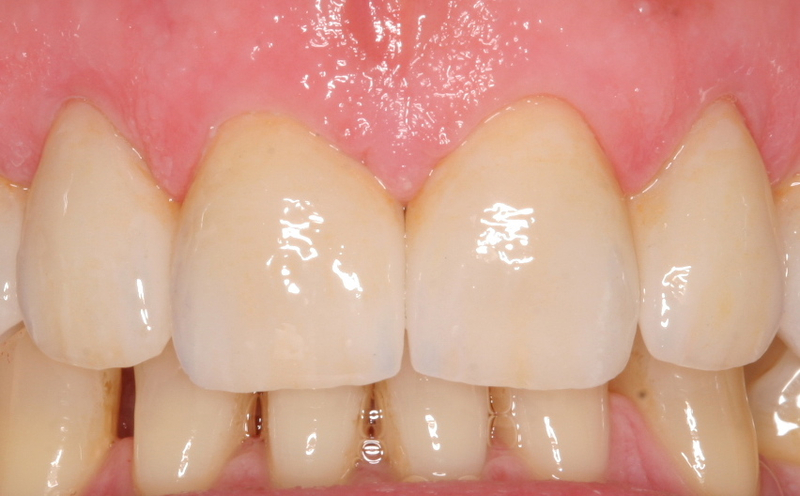 In the visible areas of the mouth crowns from all ceramic materials or Zirconia bases are preferred. These are slightly weaker than metal based crowns, but look aesthetically superior. In addition, if you get gum recession over time, the join of the crown to the tooth is usually not obvious to most people. In the back area of the mouth stronger materials like metal or metal covered in porcelain are preferred due to their strength. Newer Monolithic Zirconia materials offer a metal free solution in the back of the mouth. To have a crown completed for a tooth there must be a solid foundation onto which the crown is attached. Foundations are made of filling material held to the tooth with bonds, pins or grooves. The crown will act like a cap completely covering the tooth and foundation. To complete a crown, the tooth must be trimmed down to allow the crown to fit in the mouth correctly. The fit of the crown to the tooth is critical. If the crown does not fit correctly, space will open up over time and the crown may fail prematurely. Prosthodontists are skilled at getting the best fit possible. This starts with a meticulous tooth preparation, accurate impressions (digital scanning or impression materials), and excellent laboratory backup. Careful fitting of the finished crown is essential to achieving the final correct seal and seating. Crowns are not forever. You can break or chip the porcelain, ( rare with metal ) if you grind heavily on the crown or accidentally bite into hard foods ( toffees, nuts, toasted grains). You must clean and floss correctly everyday to prevent decay or caries from weakening the tooth supporting the crown. Regular professional cleans and checks can pick up any early breakdown around the crowns and small repairs may be undertaken. The tooth has a nerve canal in the middle containing blood vessels nerve endings and fluid. Most often a tooth which has had root canal treatment will require a crown to restore it to normal function. Crowns are frequently placed on teeth that have not had root canal treatment. There is a small chance (approx. 0.5% per year) that root canal treatment may be needed during the life of such a crown. Often this can be completed without a new crown being needed.